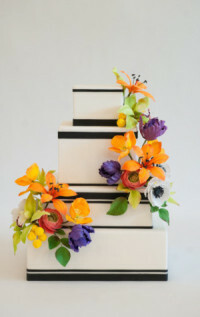 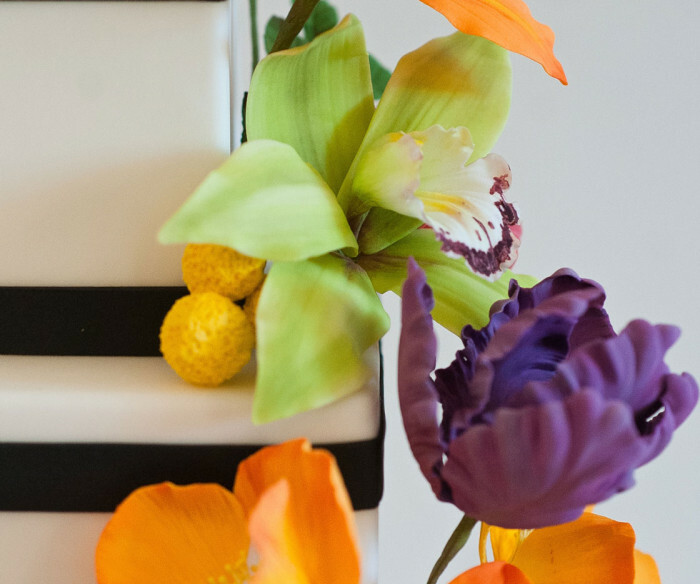 Perfectly placed modern, black lines allow these vibrant blooms to appear as if they are growing right out of this cake. 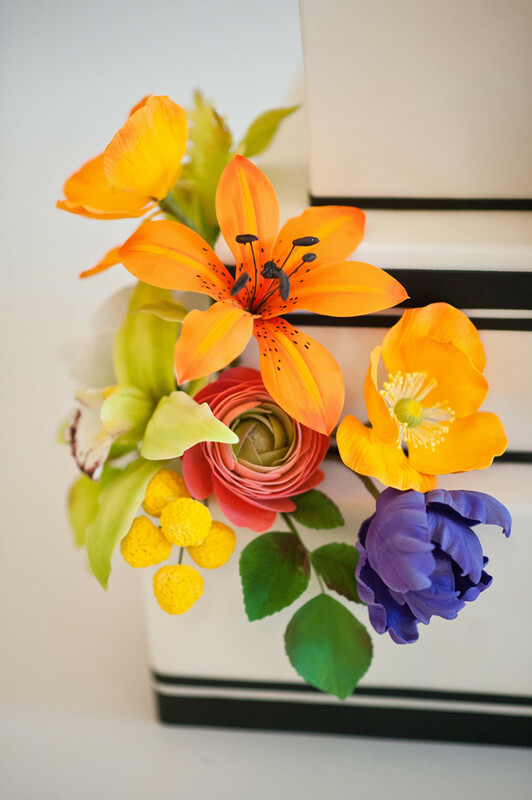 Complete with orange tiger lilies, purple parrot tulips, pink ranunculus, orange poppies, white anemones, yellow billy balls and green cymbidium orchids will bring a smile to your face and all your guests. 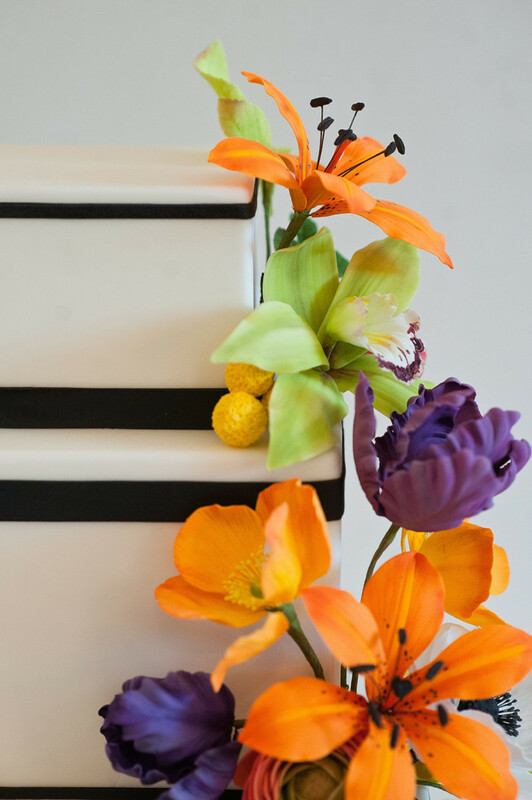 Alexandra is for the modern and colorful Bride.